AMID one of the deepest oil price crashes in history, UK’s Tullow Oil is sending one of the world’s biggest floating deep-water oil production platforms to West Africa to pump crude for at least 20 years. The 340-metre long production vessel, named after late Ghanaian president Prof John Evans Atta Mills, was converted in Singapore from a Very Large Crude Carrier (VLCC) super-tanker, and is expected to set sail this weekend to Ghana, where it is scheduled to gradually ramp up production from the TEN deepwater oilfield from July/August this year, the company’s chief operating officer Paul McDade said. With costs (operating plus capital expenditure) of around $20 per barrel and an expected production life of 20 years or more, London-listed and Africa-focused Tullow hopes it can weather a storm which has seen crude prices tumble over 75 percent in 18 months to under $28 per barrel, levels not seen since 2003. Despite its low production costs, McDade said the current downturn was causing the industry huge pain, and he added that he didn’t expect a sharp rise in oil prices as happened in 2009 after the last crash during the global financial crisis. ‘It feels more like a 1986 than a 2008. It’s a more fundamental shift. 2008 was a financial crisis, today is very different. We have oversupply, that’s structural and takes longer to adjust to,’ he told Reuters in reference to low oil prices in the decade following the price crash of 1986. 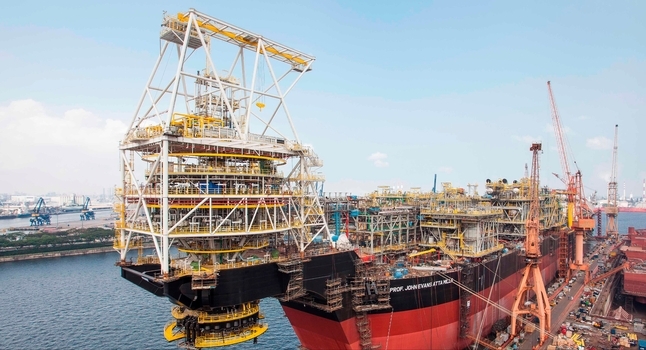 Despite the outlook for excessive global output, McDade said the John Evans Atta Mills Floating Production, Storage and Offloading (FPSO) vessel was going ahead as scheduled. ‘We are very much on schedule for a July/August gradual start of production. 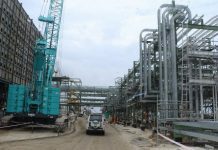 The aim is to hit peak production in early 2017,’ McDade told Reuters in Singapore. The TEN oilfield off the coast of Ghana lies at a water depth of 1,000-2,000 metres and has a maximum capacity to produce 80,000 barrels per day (bpd) of a light sweet crude quality close to Brent, although Tullow said it plans to average only around 50,000 bpd at peak production. Tullow already produces similar grade crude from the offshore Jubilee oilfield, also in Ghana, and the company said once TEN and Jubilee were at full production, combined output would reach 100,000 bpd in early 2017. 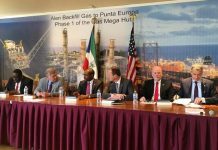 In the midst of a huge production overhang, which sees 1-2 million barrels of crude pumped every day in excess of demand, West Africa is one of the few regions that is expected to see production increases and further investment this year. Analysts at AB Bernstein said they expected ‘Africa as the most active basin in 2016,’ in terms of developments and investments of potential offshore projects. ‘In Ghana, we’re kind of blessed with high quality, low-cost assets,’ McDade said, adding that Tullow’s overall cash operating costs were around $15 per barrel. Because of the low prices, McDade said Tullow would have to be flexible with its next investment decisions, including expansion of the Jubilee field, which Bernstein estimated to see a final investment decision (FiD) in the second quarter of 2016. He also said the firm would only develop its East African oil assets in Uganda if it managed to farm out a significant part of its production in order to re-invest the money made from such a sale back into those developments. ‘Ideally, you’d want to invest in the current environment as services are cheap and likely to become cheaper still. In the last 8-10 years we may not have seen a better time to invest than now,’ McDade said but added this would depend on Tullow’s financial and equity position. Tullow’s share price has fallen by around 70 percent over the last year, giving the company a market capitalisation of less than £2bn. The firm’s low share price and market capitalisation meant that Tullow was potentially a take-over target. 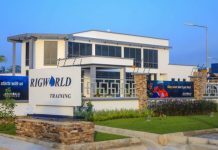 ‘As a smaller company, you’re always going to be a take-over target,’ he said but added that Tullow was not up for sale and warned any bid would also be challenging as its partnerships in Africa would entail clearances from regional governments. Despite this optimism, ship builders and industry analysts are less enthusiastic about the immediate future for other new floating deepwater production vessels.